They’ve been teaching children about numbers, letters, compassion, and so much more since 1969. Now, 50 years later, the Sesame Street is going down a new avenue: coding. 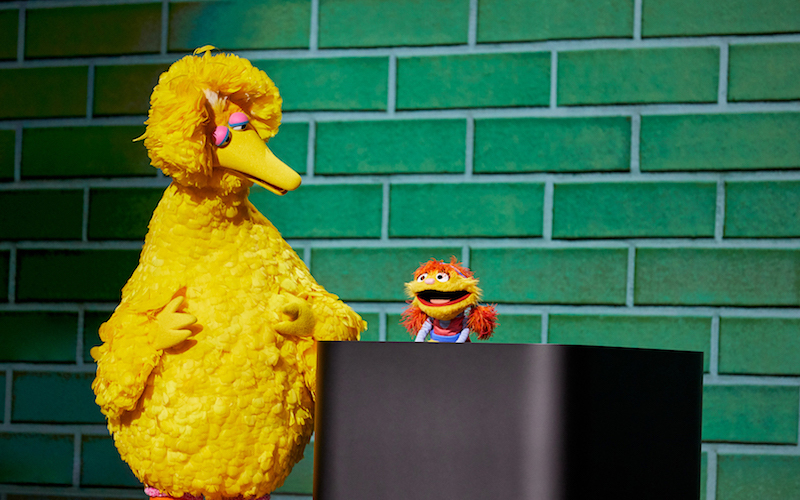 Introduced onstage at Apple’s recent press event by none other than Big Bird himself, an upcoming Sesame Street-Apple collaboration will teach children coding basics via Apple’s new streaming service, Apple TV+. Helpsters, as the upcoming show is called, will star Sesame Street’s Cody (who is part monster, part helper – hence the name). “Coding fosters collaboration, critical thinking skills, and is an essential language that every child can learn,” Cody explained at the event. “By teaching preschoolers about coding, we’re giving them the opportunity to change the world!” she exclaimed with self-made echo. Apple did not reveal any sort of trailer at the event, so it’s tough to determine how the show plans on introducing coding topics to preschoolers. However, Cody did mention that Helpsters will have “cool music” and “funky dance moves.” Additionally, as Cody explained, it seems the series will use the most general ideas behind coding to help solve real world problems. It makes sense for Apple to want to be apart of developing the next generation of coders. In 2018, the App Store hit 20 million registered developers, $100 billion in revenue, and 500 millions visitors per week, according to Tech Crunch. Apple likely wants to continue to dominate the app industry and will want coders to do so.